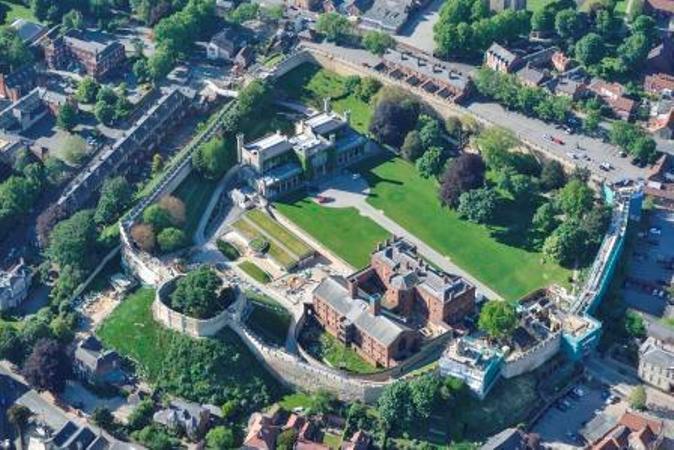 The siege and consequent battering of Lincoln Castle by the Parliamentarian army in early May 1644 was the last time it saw armed conflict. Edward Montagu, Earl of Manchester, arrived from the south with the Parliamentarian army and gathered at the top of Canwick Hill. His force quickly took control of the lower town, but heavy rain delayed further attack on the castle and upper town which was now contained by the royalist force under Sir Francis Fane. Early on the Monday morning of 6th May, Manchester gave the command to make an assault on Lincoln Castle. Despite the slippery ascent and the huge stones being thrown down at them, the Parliamentary solders had stormed the castle within half an hour. Over 900 hundred Royalists were killed or taken prisoner. The Castle may not have been deliberately slighted by the Parliamentarians afterwards, as it was by now already in a poor state, but other buildings in Lincoln suffered a great deal of damage. St Botolphs’s church, near Bar Gate in the lower town probably suffered in this attack, as it fell down in 1646. St Swithin’s is recorded to have been set on fire and burnt from an explosion of gunpowder in Cornhill. St Martin’s (bottom of Steep Hill) and St Michael’s (at the top of Steep Hill) were damaged by Parliamentary cannon. Soldiers were allowed to pillage the upper town and the cathedral was apparently used as a billet for soldiers and the stabling of their horses.